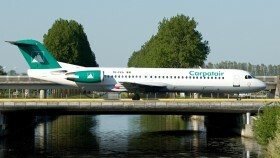 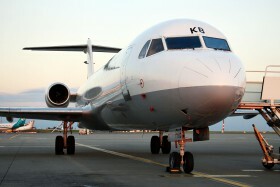 I met this plane for the first time ten years ago in Tirana. 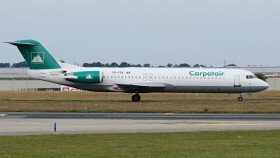 Air Berlin operates all flights from Berlin (TXL) to Prague with this Carpatair Fokker 100 in this days. 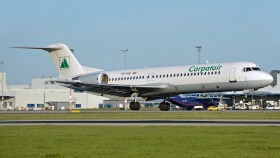 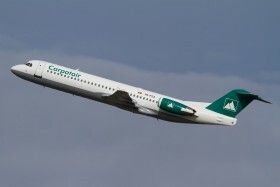 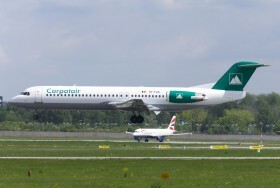 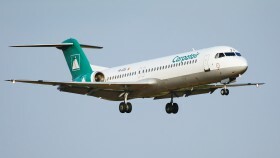 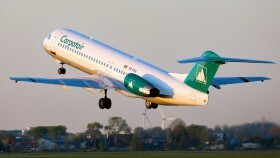 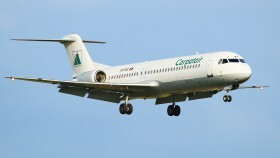 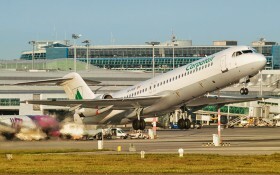 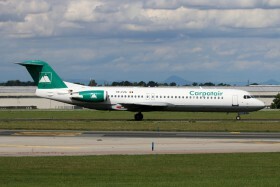 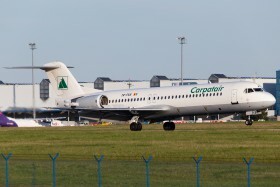 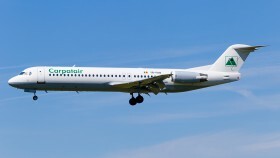 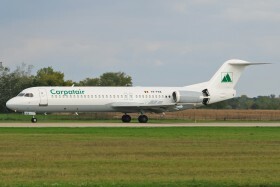 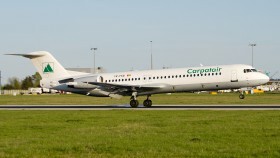 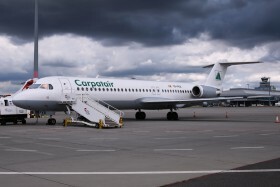 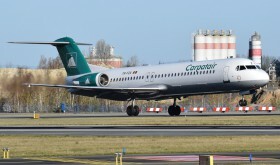 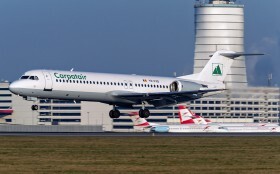 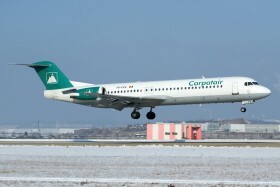 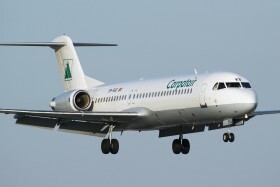 This Fokker 100 of Carpatair is operated in a non-standard predominantly white livery and arrived today from Poznan to Bratislava for maintenance at Austrian Technik.